Home / Security Tips / Do Home Security Systems Really Deter Burglars? 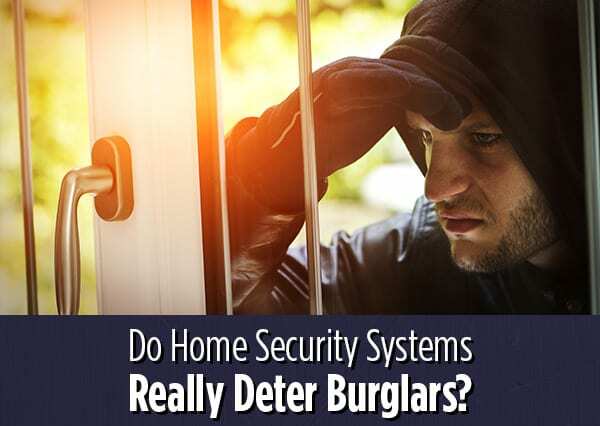 No matter if you are in Superior, WI or Duluth MN, homeowners wonder if home security systems are effective in deterring burglars. The good news is research findings seem to strongly indicate that when the right home security system technologies are implemented properly, they are probably more effective than we think. A break-in happens every 90 seconds somewhere in the US. Shockingly, most often those break-ins occur in broad daylight! Why is that? Robbers do not want to get caught so they are most likely to target a home during the day when they believe residents are at work or school. However, a bold or reckless criminal may still consider breaking in at night. There is never a guarantee. Most burglars are not professional thieves. Rather, they look for the homes that provide the fewest obstructions and most opportunity. They most often enter from the first floor through unlocked doors or windows, or doors easily forced open with simple tools. Even non-professional thieves can become quite proficient at the use of speed, force and concealment, however. It is also important to note that any simple burglary can rise to a much more dangerous situation. Since burglars want to avoid getting caught, there are many steps you can take to reduce the risk of becoming a target. Get a home security evaluation. Professionals can advise you of your risks and how to address them. Install a professional home security system. Include the use of security technologies including motion and glass-break sensors. Most amateur criminals will run when they hear an alarm sound. Install a video surveillance system both indoors and out. The presence of these systems increases their risk of criminals being identified and caught. Use home automation to simulate your presence in the home. If a burglar can’t tell if you are home or not, they will move on to another target. Install a video doorbell. Many burglars will knock on the door to see if anyone is home before breaking in. A video doorbell can alert you to movement on the porch and allow you to speak directly to the person. Choose to have your system professionally monitored. Advantage Systems Group proudly serves homeowners all across WI and MN with professional and affordable home security systems. For more information, please call us today!